cabinets or the ultimate hoarding spot, the basement. 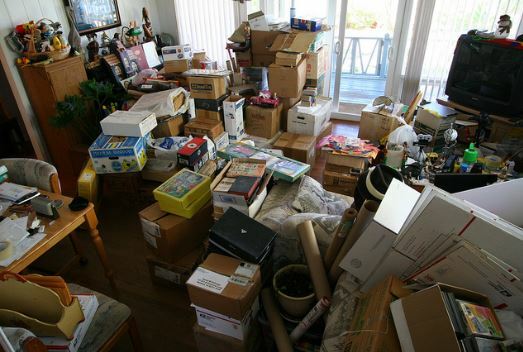 According to a recent survey, one in seven Americans have a room in their home that is too cluttered to use. The first temptation is to rent a storage unit – don’t do it. Unless you’re planning to move and need to temporarily store your good furniture and belongings, this should not be an option. All those old Christmas and holiday decorations should be sorted and only the ones you used last season should be nicely packed into containers in the garage. The rest should be dumped in a dumpster. We at Green Solutions and More are experts in Junk removal Lincoln CA. First, you have to sort out the large furniture, paintings, luggage etc that you have no use for and are taking up the major space. These can be of value to someone else and most consignment stores are willing to collect these from your home. The next level down would be all the clothes that just haven’t been worn for a few years. These too can be boxed up and sent to the local Goodwill store and will have a value for someone. Then you get down to the packed boxes from your last move that you haven’t looked at in years. Pots and pans or old linen, these are the things you can dump. Cutlery and crockery from your parents home is never going to be used if you haven’t already had a need for it. Keep one beautiful bowl or serving platter for a keepsake and donate the rest. Broken shelves that you thought you would repair one day, it’s not going to happen! All that old gardening equipment that’s turned rusty, or old piping or sprinkler pipes, old hose pipes, you name it, you will be better off to dump it. So remember, if it’s trash removal you are struggling with, we have the best solution for all those unwanted items. Green Solutions and More has the ideal size dumpster that can be delivered right to your yard. If you need to rent a bin we will help you to decide what size you will need.